The statue could have instead funded two new IIT campuses, five IIM campuses and six ISRO missions to Mars. The statue’s construction cost is more than double the estimated amount for proposals submitted to the central government by the Gujarat government to include in Pradhanmantri Krishi Sinchai Yojana (Prime Ministers Agriculture-Irrigation Scheme). The construction cost could have been used to irrigate 40,192 hectares of land, cover repair, renovation and restoration of 162 minor irrigation schemes and the construction of 425 small check-dams. 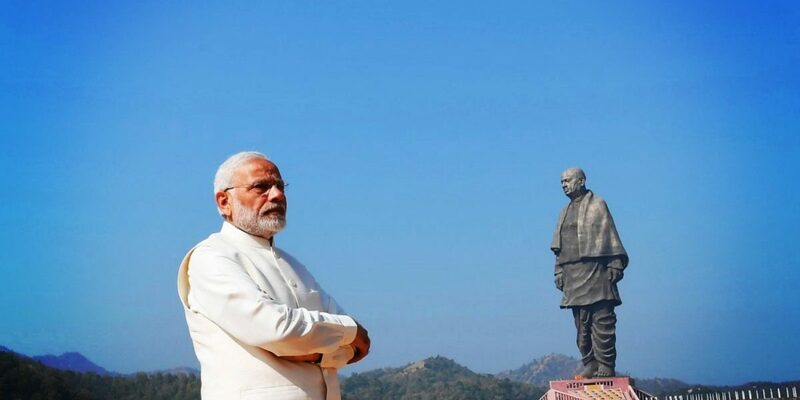 The Statue of Unity – representing the symbolic unification of India post-Independence – was unveiled by Prime Minister Narendra Modi on October 31, 2018, as tribute to Sardar Vallabhbhai Patel on his 143rd birth anniversary. The statue is now the world’s tallest at 182 metres (597 feet) or nearly 100 times taller than someone 6 feet tall. Sardar Patel – independent India’s first deputy prime minister and home minister – was popularly known as the ‘Iron Man of India’ for his role in bringing about the merger of the princely states post-independence. The statue’s construction has affected 75,000 tribals across 72 villages in Gujarat’s Narmada district, NDTV reported on October 20, 2018. Of these villages, 32 have been most affected. Resentment has also been building among more than 1,500 farmers in four districts – Chhota Udepur, Panchmahals, Vadodara and Narmada – who had sold 262,000 tonne sugarcane to the Sardar Sugar Mill in Sankheda, which was shut down due to financial mismanagement by board members. They are still waiting for their dues amounting to Rs 12 crore. “At a time when Gujarat is facing a water crisis due to lower availability in the Narmada dam, I think the statue project could have been postponed by a year,” according to Ghanshyam Shah, a political expert based in Gujarat, Mint reported on October 30, 2018. Vijendra Tadvi, a farmer in Gujarat has been finding it difficult to irrigate his three acre farm, the BBC reported on October 28, 2018. “Instead of spending money on a giant statue, the government should have used it for farmers in the district,” he said. The Statue of Unity is now 29 metres taller than the Spring Temple Buddha in China – which at 153 metres was previously the tallest statue in the world – and twice the height of the Statue of Liberty (93 metres) in the US. “The Statue [Of Unity] will not only remind every individual of our great nation’s freedom struggle but will also inspire the people of our country to inculcate Sardar Vallabhbhai Patel’s visionary ideologies of unity, patriotism, inclusive growth and good governance,” the project portal reads under its objectives. This article was originally published at Indiaspend. Read the original article.